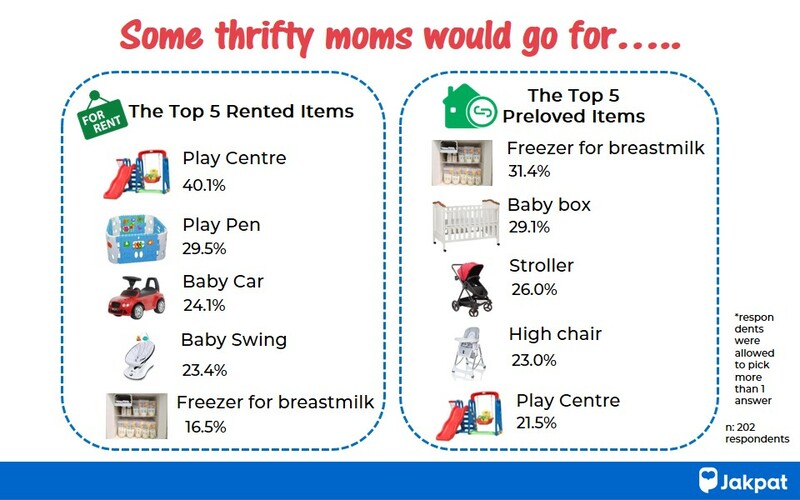 Babies and toddlers’ needs become the biggest expenditure of a household (tirto.id, 2018) but nowadays there is a solution for it, which is baby stuff rentals which allow parents to save some money but still can fulfill their kids’ needs. It can also help some parents to fulfill temporary needs for example for a traveling purpose. Some parents like this idea some other parents don’t. 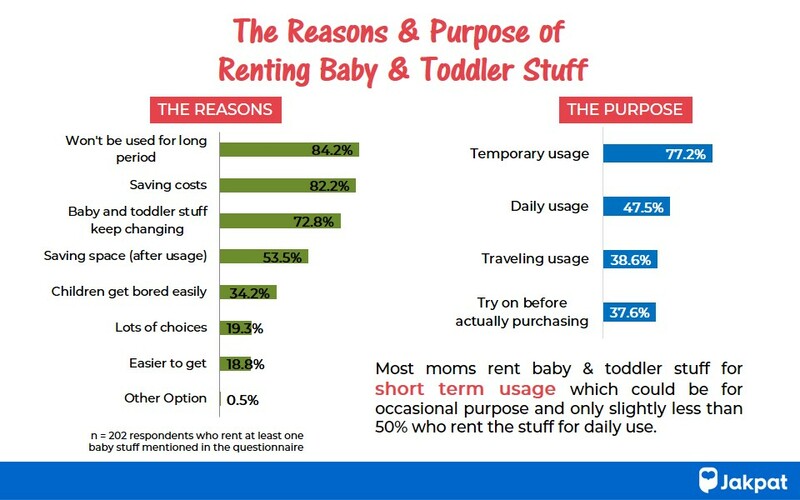 JAKPAT conducted a research aimed to find how Indonesian parents think about baby stuff rentals, what kind of stuff they like to rent, what kind of stuff they don’t want to rent, why do they rent some stuff and for what purpose, and how do they select the rental place. The respondents are 890 moms from all over Indonesia. 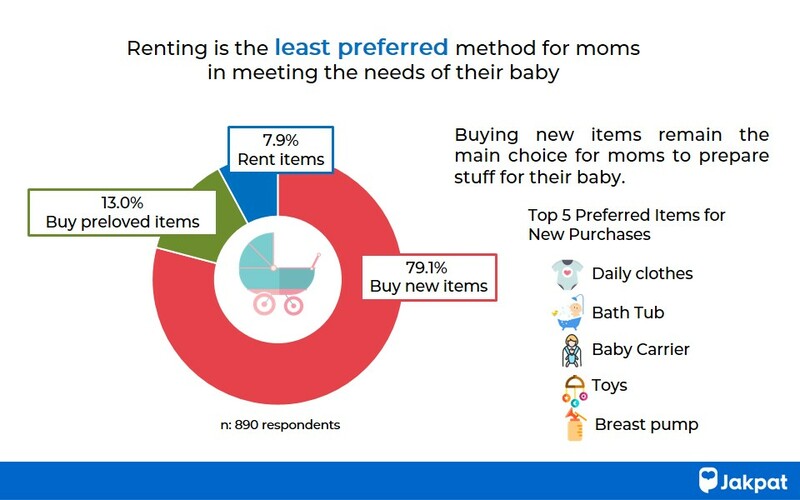 The main result for this research is that apparently renting baby’s stuff still become the third choice for parents and they prefer to buy new even second stuff. This entry was posted in Download Reports, Housing, Lifestyle on November 8, 2018 by Maulida Kusumaningsari.